Tired of suffering from or replacing a smashed phone screen? Here’s some good news. 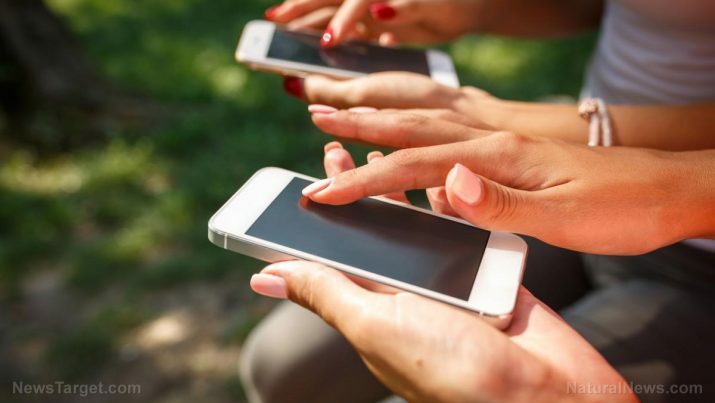 Researchers at the University of Sussex in England have developed a new smartphone screen material that is less costly, more flexible, and eco-friendly, according to a report by Science Daily. The researchers combined silver nanowires with graphene, which is a two-dimensional carbon material. The combination of the two components works like current smartphone screens, but at a cheaper price. In addition, the new technique could potentially make devices that use less energy, are more responsive, and do not pollute in the air. “While silver nanowires have been used in touch screens before, no one has tried to combine them with graphene,” said Alan Dalton from the University of Sussex. Currently, smartphone screens are made from indium tin oxide, which is fragile and costly. Indium, its main component, is also a rare metal and is not eco-friendly. Silver, the best alternative to indium tin oxide, is also costly. “Although silver is also a rare metal, like indium, the amount we need to coat a given area is very small when combined with graphene. Since graphene is produced from natural graphite, which is relatively abundant, the cost for making a touch sensor drops dramatically,” said Matthew Large, lead researcher of the project. The method in which these materials are assembled is new. Dalton explained that it was feasible to float the graphene particles on the surface of water, then pick them up with a rubber stamp, which can be likened to the “potato stamp” technique that combines silver and graphene. After that, they layed it on top of the silver nanowire film in the chosen pattern. Dalton said that this breakthrough technique is “inherently scalable.” Combining silver nanowires and graphene in this manner on a large scale with the use of spraying machines and patterned rollers is simple. “This means that brittle mobile phone screens might soon be a thing of the past,” he said. The researchers explained that the graphene added to the silver nanowire network would enhance its ability to conduct electricity by about a factor of ten thousand. This means that the device will have the same or even better performance by using just a part of the amount of silver. Thus, screens will be more responsive and will use less power. “This paves the way towards one day developing completely flexible devices,” Large said. The research was published in the journal Langmuir. Another group of researchers wanted to solve the problem of brittle phone screens, according to a report by The Telegraph. Researchers at the University of California Riverside developed a new material that can fix itself within 24 hours. The material, made of a stretchable polymer and an ionic salt, could stretch to 50 times more than its original size. This means that scratches would not be permanent. “A self-healing material, when carved in two parts, can go back together like nothing has happened, just like human skin,” said Chao Wang, the lead researcher of the material. The scientists estimated that the self-healing material will be used for smartphone screens and batteries in the next three years. Read more news about technological advances at Progress.news.